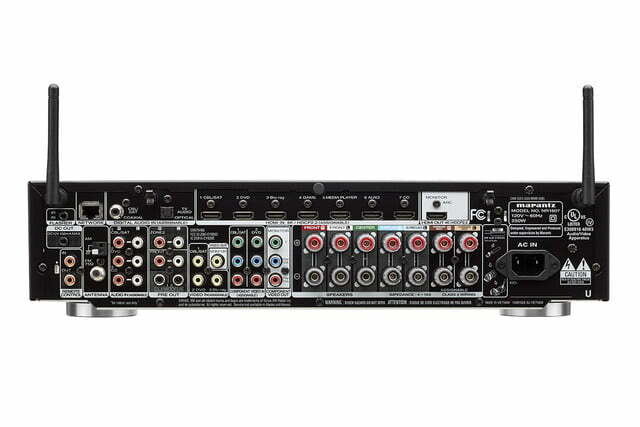 Generally when you’re looking at an A/V receiver, you can opt for a slim, sleek model that offers only the essentials, or a hulking, feature-packed model that dominates your living room. 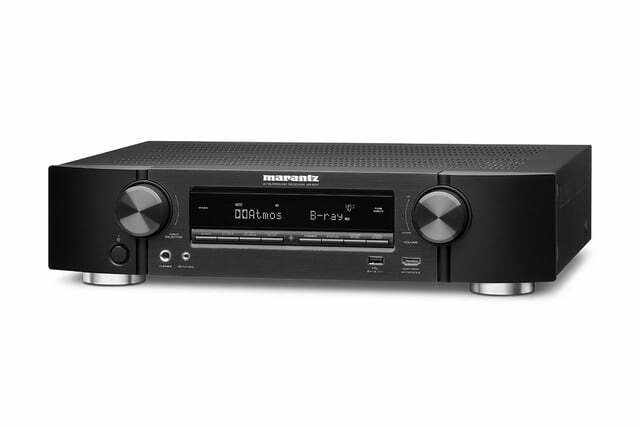 Marantz’s Slim Design Receivers have aimed to combine the best of both worlds and have done a great job so far — and the latest member of the family looks like it could be the best yet. On Wednesday, the company announced the first model of its 2016 home theater line-up with the NR1607, a follow-up to last year’s NR1606. This 7.2-channel network A/V receiver claims 50 watts of power per channel, packed into a chassis that is just a little over four inches tall. The NR1607 features a total of 8 HDMI inputs including one on the front, all of which support HDMI 2.0a and HDCP 2.2 and offer BT.2020 pass-through. Each input also support 4K/60Hz video with 4:4:4 color as well as HDR, Wide Color Gamut compatibility, and the 21:9 aspect ratio. 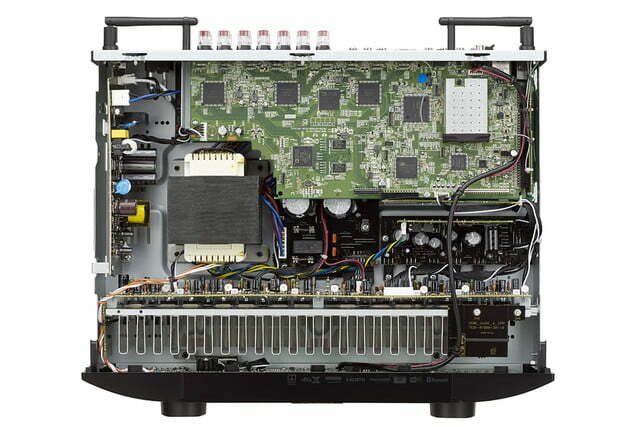 On the off chance your 4K TV doesn’t feature upscaling, the NR1607 even offers a built-in scaler. In addition to standard 7.1 or 5.1 setups, the NR1607 also supports 3D surround sound via Dolby Atmos, and a firmware update planned for September will bring support for DTS:X as well. Dolby TrueHD lossless decoding is supported, as are high-resolution audio files in FLAC, AIFF, WAV and DSD (2.8/5.6MHz) formats. Connectivity comes in the form of 2.4GHz/5GHz dual band Wi-Fi as well as Bluetooth. Local music can be streamed from NAS devices or by using AirPlay, while Spotify Connect and Pandora streaming and both Internet radio and SiriusXM radio are supported as well. All the features in the world don’t count for much if you can’t get the receiver set up in the first place, and Marantz has gone a long way toward making that process easy for users with a graphical user interface, setup assistant, and Audyssey MultEQ room calibration. The company is also offering a remote app for iOS, Android, and Kindle Fire devices, so there’s no need to sweat if you’ve temporarily lost the remote in the couch. 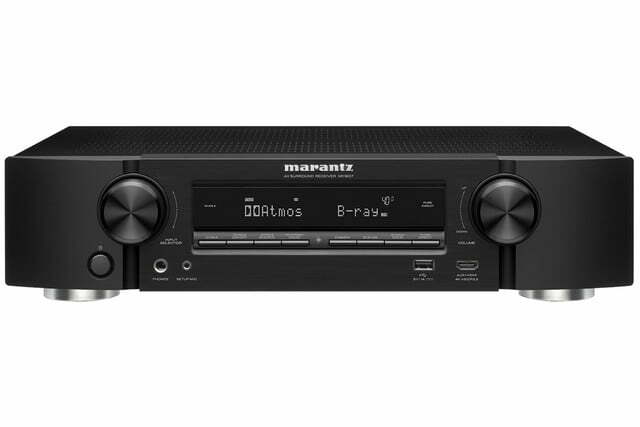 The Marantz NR1607 will retail for $700, and the company expects it to be available starting next month. For more information, see the product page on the company’s website.